Twitter has recently unveiled a new keyword targeting feature in their Twitter Ads platform that will allow businesses to more specifically cater to their most sought-after followers. There are two ways advertisers can use this targeting feature. First, advertisers can target Twitter users that have similar interests with a specific username (e.g. if you’re a Washington DC hotel seeking promotion, you may want to target users similar to @washingtondc). Second, advertisers can target by more than 350 wide-ranging interest categories outlined by Twitter. In addition to the new targeting flexibility, advertisers now also have the ability to define exactly which platforms their promoted tweets will show up on (e.g. desktop, iOS, android, etc.) as well as target to a specific gender if desired. To learn more about this new feature, read Tnooz’s recent report on the topic. 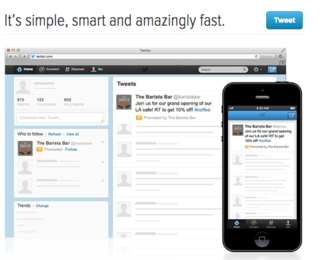 Is Keyword Targeting What Businesses Need To Get More Out Of Twitter?